You can’t throw food at hunger and expect poverty to disappear. The Hunger Coalition has re-imagined the solution to food insecurity to reach further than the traditional food assistance model – one where a box of macaroni is expected to cure complex societal ills. One glaring ill is the injustice faced by communities of color. Racism still warps our institutions and keeps the scales tipped so people of color are disproportionately vulnerable to food insecurity. 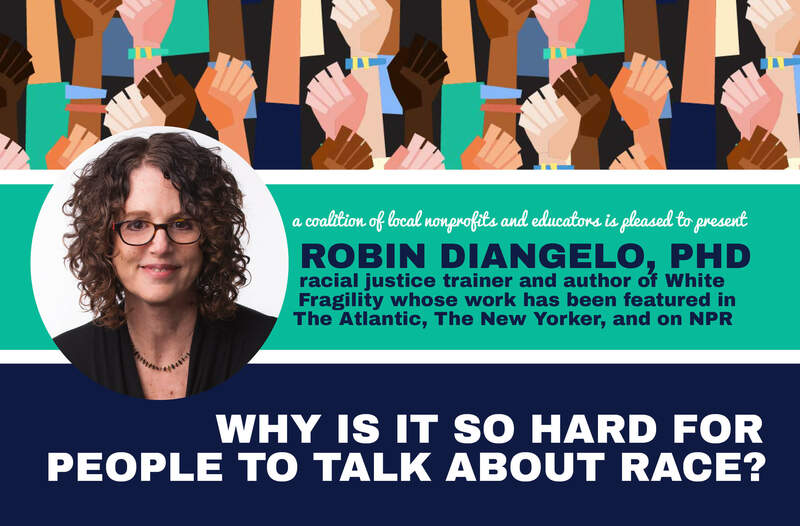 One way we’re working to address this root cause of hunger is by bringing Robin DiAngelo, PhD, racial justice trainer to town with a coalition of local nonprofits and educators. Good food is important, but we need to do more to address hunger upstream. We are committed to our values of inclusivity and equity where opportunity is not limited by one’s race, class, gender, sexual orientation, ethnicity, citizenship, disability, or religion.  The Hunger Coalition is making radical change toward a healthier, more just community where access to good food is treated as a right for all people. If you agree that good food is a right, make a statement with a gift to The Hunger Coalition and help us meet our $50,000 goal. Your gift will be doubled if you give before August 31! Join us in envisioning a happy, healthy, and equitable future for our community. Thank you for all you do to inspire positive change in Blaine County. Click here to read the entire August 2018 Newsletter and subscribe to our emails by clicking the carrot on our home page so you never miss a beet. There are just 15 days left in our matching gift challenge and still $20,890 left to raise. 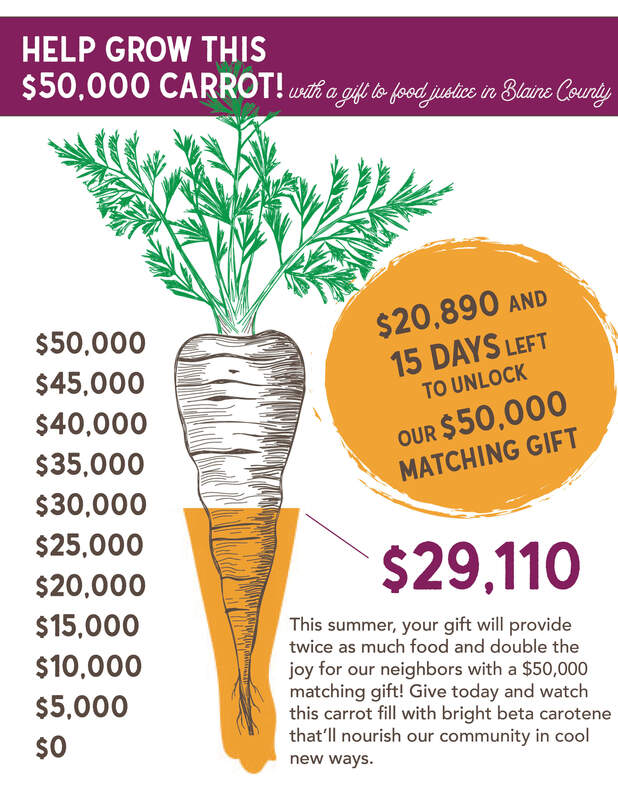 If together we raise $50,000 by August 31, our total investment in good food for all will be $100,000! Don’t leave these important funds on the table! If you haven’t already given, click here to take our secure, new donation page for a spin and invest in a healthy future for all of our neighbors. If you have already given a gift (thank you! ), consider encouraging your peers to do the same. 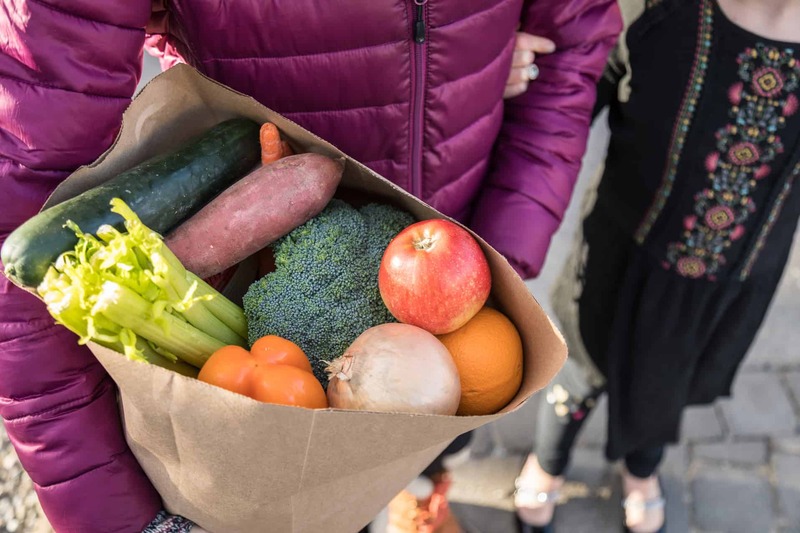 Start a fundraiser for The Hunger Coalition to help meet this ambitious goal and ensure double the food for our neighbors and double the progress in the food justice movement. In September, join us for an extraordinary opportunity for our community to come together and talk about racism as it relates to each of us and the role we might play in the problem. 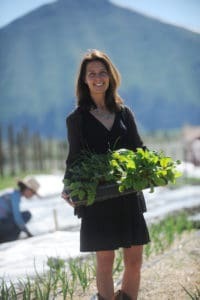 A coalition of local organizations and schools in Blaine County are sponsoring two community presentations by Robin DiAngelo, PhD – a nationally acclaimed racial justice trainer whose work has been featured in The Atlantic, The New Yorker, and on NPR.